GROS ISLET, St Lucia, CMC – Persistent heavy rain forced the abandonment of the decisive third One-Day International between West Indies and Afghanistan here last night, leaving the three-match series in a 1-1 stalemate. 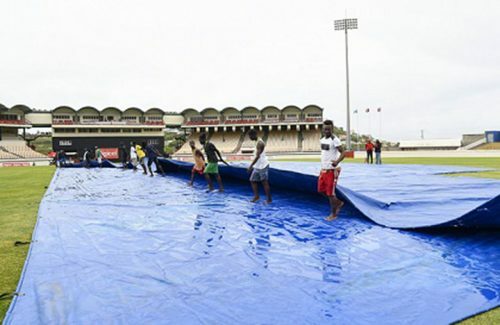 The adverse weather, which started overnight and continued all day, refused to relent for any significant length of time, leaving the Darren Sammy Cricket Ground under water and play was eventually called off at 7:12 pm. With the original start time of 2:30 pm delayed by 2-1/4 hours, the game was reduced to 43 overs per side when the weather finally eased somewhat late in the evening and officials managed to get the toss spun. Afghanistan called correctly and opted to bat but the revised start time of 4:45 pm never came to fruition as the rains returned to ruin any chance of play. The washout summed up the Windies’ fortunes in the series as they failed to really assert their dominance over the ICC Associate nation. 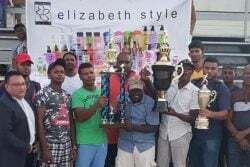 They crashed to a humbling 63-run defeat in the opening ODI last Friday and then laboured to overhaul 136 for victory in the second game before winning by four wickets. West Indies’ perfomance in the series saw them drop two ratings points to fall to 77 in the ICC one-day rankings, furthering hampering their chances of automatic qualfiication for the 2019 World Cup. 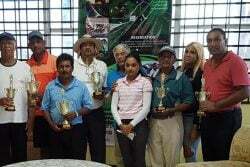 They will now turn their attention to India who arrive in the Caribbean for a five-match ODI series from June 23 to July 6, following their participation in the ongoing ICC Champions Trophy.